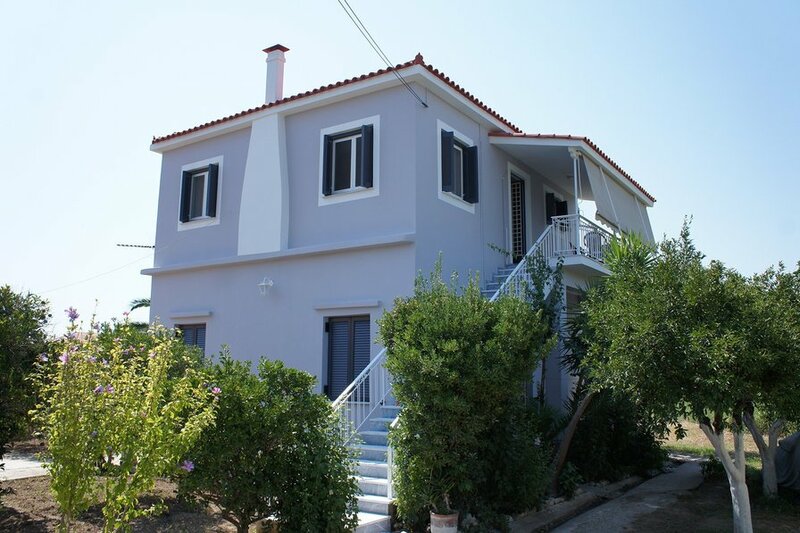 Magdalini is a stylish newly renovated cottage in the center of Paralio Astros. The independent house is located in a quiet neighborhood. In Magdalini you can enjoy the peace and privacy, and yet in a few minutes you reach the beach and the lively part of Paralio Astros. In just 150 meters you reach the first beach. The independent, 65 square meters large holiday home was renovated in 2014 and is fully equipped. Magdalini can accommodate 5 persons. The lovely furnished house has a large shaded balcony, ideal for relaxing. Magdalini is an ideal destination for families, friends and couples who want space and privacy. Paralio Astros is a very popular holiday destination that offers something for everyone. Beautiful beaches, traditional taverns and modern bars and clubs are '' in front of the door''. The beautiful city of Nauplio is only 32 km from Magdalini. Magdalini has a comfortably furnished open plan living room, a fully equipped kitchen and one separate bedroom. A bathroom with tub completes the beautiful house. The bedroom has a big double bed and in the big living room there is a smaller double bed and a sofa bed for a fifth guest.